Here we address the earlier published review by Øien et al. 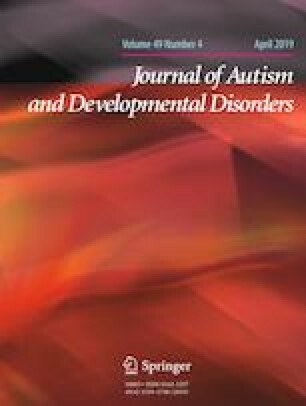 (J Autism Dev Disord, https://doi.org/10.1007/s10803-018-3686-7, 2018) and the subsequent comments by Zucker and VanderLaan (J Autism Dev Disord, https://doi.org/10.1007/s10803-018-3748-x, 2018). The current commentary is a response to the corrections put forth by the latter authors where aspects related to diagnostic criteria of Gender Dysphoria and corrections to the existence of a control group were noted. Additionally, to highlight that research on Gender Dysphoria and ASD is becoming a very fast and growing field we also present an update of the original review which show a 13% increase of empirical studies published only in the past few months. The online version of this article ( https://doi.org/10.1007/s10803-018-3863-8) contains supplementary material, which is available to authorized users. ANH and RAØ conceptualized and designed the study. ANH and RAØ drafted the initial manuscript. ANH carried out the search and ANH and RAØ did the analysis. RAØ, DVC, and ANH reviewed and revised the manuscript, and approved the final manuscript. None of the authors declare any conflict of interests.